Werlatone's 20-500 MHz, family of products in highlighted by the Model D5829. This 8-Way Combiner/Divider covers the full 20-500 MHz band, and is rated at 400 W CW. The unit is also designed for 50 Watts / Input in a Non-Coherent Combining application. Werlatone’s 20-500 MHz, family of products in highlighted by the Model D5829. 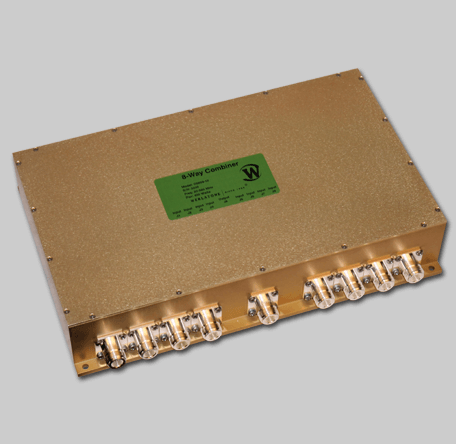 This 8-Way Combiner/Divider covers the full 20-500 MHz band, and is rated at 400 W CW. The unit is also designed for 50 Watts / Input in a Non-Coherent Combining application.